Ontario, California Car Accidents Attorneys with Over 40 Years of Experience and Success Rate of More Than 95% Helping Those Injured in Ontario and San Bernardino! 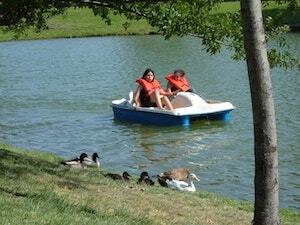 Our serious injury and wrongful death lawyers and law offices want to help you now. We understand that Ontario and San Bernardino car accidents, truck accidents and motorcycle accidents cause serious injuries, substantial property damage, and sometimes even wrongful death. 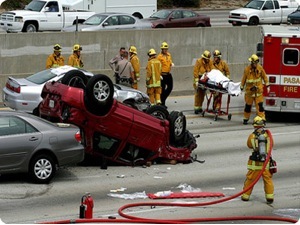 Our Ontario wrongful death, car accident personal injury claims attorneys have a 95% success rate in handling personal injury cases in California, including Ontario and all throughout San Bernardino. If you need any help, just call us now or click on our contact link now. With more than 40 years of experience in handling thousands and thousands of car accident and other accident injury claims, we are a group of accident claim lawyers offering our legal services on a contingency fee basis for Ontario and nearby San Bernardino, Fontana, Rancho Cucamonga and Los Angeles. Our expert car accident injury lawyers know how to handle car accident cases, from getting damaged cars towed and repaired, free rental cars, immediate medical care without payment due until your case is resolved, to maximum settlements while providing legal advice and clear explanations of the claims process all along the way. Please take a moment to see what other clients have said about us in our testimonial section. There are many time rules (including the California statute of limitations) and procedural rules (e.g., in car insurance policies, the California DMV, etc.) so please do not wait. Please do NOT risk making a mistake or missing a key time deadline. Please contact us now at 818-222-3400 or 1.866 INJURY 2 (after hours just dial “1”) for your FREE & CONFIDENTIAL consultation and case evaluation. It is absolutely FREE and if we take your car accident injury case we do not receive a fee unless and until we WIN! In other words, you need not worry about money! Call us now – you will be glad you did! Medical Care: Personal injury car accidents in Ontario, San Bernardino, Los Angeles and all of California often leave victims dealing with serious injuries that require medical care and physical therapy attention. Our Ontario case lawyers help clients obtain medical care, including medical doctors, chiropractors, physical therapists, specialists such as orthopedic and plastic surgeons, neurologists, dentists and psychologists; usually without any payment until the claim is resolved. Moreover, clients can seek assistance for medications, X-Rays, including MRI and CT scans, usually with no payment due until their claim is resolved. Vehicle Repairs: Ontario, CA car accidents can cause major damages to cars, trucks, and motorcycles. Our Ontario car accident lawyers and law offices help your vehicle repairs, settlement of total loss claims, storage, towing and, if appropriate, free car rental. Transportation to Doctor: Our Ontario car accident lawyers and legal staff assist clients in finding doctors, arranging appointments and, whenever required, arrange transportation for injured clients to and from the hospital, medical clinic and other doctor and physical therapy appointments. If you need help with transportation, just let us know. Cash Advances/Emergency Loans: Ontario, San Bernardino California car accidents can exhaust your finances especially with unexpected medical bills and added expenses to take care of at a time when you may miss out on work and suffer a loss of income. Our experienced Ontario car accident lawyers and law offices will assist you in receiving loans and advances to cover those additional expenses. If you or anyone you care about has been involved in a Ontario, San Bernardino, Los Angeles or other California car, truck or motorcycle accident or any motor vehicle collision, call us right now for your FREE & CONFIDENTIAL car accident personal injury advice. You also may simply go to our contact us form and tell us about your car accident case. You can look through our lawyer profiles and get to know our experienced and well-qualified lawyers. Furthermore, learn about the formalities, procedures, and rules associated with Ontario, San Bernardino California personal injury and wrongful death claims by visiting our Car Injury Accident Web Site ; and for more specific help about your particular car accident injury case please call us now at 818-222-3400 or 1.866 INJURY 2 (after hours just dial “1”) for FREE & CONFIDENTIAL consultation on your car accident injury case. Remember, our car accident injury lawyers offer FREE legal consultations and evaluations on Ontario, San Bernardino and Los Angeles car accident claims and take our clients’ cases on a contingency basis, which simply means there is NO fee until you WIN! The sooner you act, the sooner we can guide you to help manage your claim and avoid costly mistakes. Please call us now – you will be glad you did! 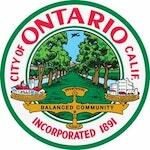 Ontario is a wonderful city located in southwestern San Bernardino County, California, just about 35 miles east of downtown Los Angeles. It is located in the western part of the Inland Empire region and lies just east of the Los Angeles county line and is part of the Greater Los Angeles Area. As per the 2010 census, the city had a population of 163,924 up from158,007 at the 2000 census, making it the country’s fourth most populous city after San Bernardino, Fontana and Rancho Cucamonga. The city is a home to the Ontario International Airport, that is the 15th busiest cargo airport in the United States. Ontario handles the mass of freight traffic between the ports of Los Angeles and Long Beach as well as the rest of the country. 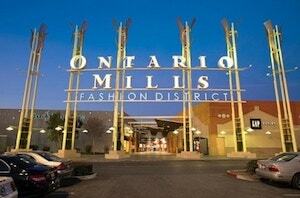 It is also home of Ontario Mills and former home of the Ontario Motor Speedway. The city takes its name from the Ontario Model Colony development established in 1882 by the Canadian engineer George Chaffey and his brothers William Chaffey and Charles Chaffey. They named the settlement after their home province of Ontario. The area that is now Ontario was part of the lands used for hunting and foraging by the semi-nomadic Tongva Serrano. Native Americans, were known to roam as far as the Western San Bernardino Mountains. At the time of Mexican and later of American settlements, active Native American settlements were scattered across the entire valley. Ontario attracted farmers and ailing Easters seeking a drier climate. To impress visitors and potential setters with the abundance of water in Ontario, a fountain was placed at the Southern Pacific railway station. It was turned on when passenger trains were approaching and frugally turned off again after their departure. 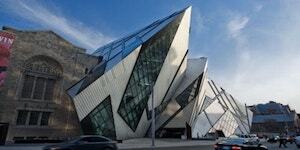 Ontario grew at an astronomical rate, increasing 10 times in the next half a century. Ontario is also home to the Icee Company, clothing companies Famous Stars and Straps, and Shiekh Shoes. The climate of Ontario is influenced by semi-arid conditions, with very hot summers and warm winters. Ontario has 25 public elementary schools, six (6) public middle schools and five (5) public high schools under the combined oversight of four (4) school districts. There are also several private schools throughout the city. Ontario has nine (9) trade schools. Ontario is and has been home to many famous people over the years including Hobie Alter, Jeff Ayres, Jim Brulte, Andy Clyde and many more. Our personal injury & wrongful death attorneys want to help you. You will be amazed and delighted with our care to provide excellent personal attention to your needs during this difficult time. Here are some of our wrongful death & personal injury law firms’ credits, awards and accomplishments. For an easy, free and confidential consultation, fill-in the details in our contact us form and fill us in on your Ontario, CA car accident or any other injury claim.